We took a little weekend trip to Edinburgh to visit our friend Ash over the weekend (5th to 7th) and while it was nice to get away from Paris for a bit, it certainly was a tiring weekend sincedim Laetitia missed her naps on most of the days and went to bed pretty late. The food was good though. We had excellent Indian (biryani) and Chinese (dim sum). Edinburgh is a rather pretty city but not exactly very toddler friendly (it was hard to let Laetitia walk by herself but then maybe it's just the Christmas crowd). Then again, Paris is not very toddler friendly too. Laetitia did have a good time though. 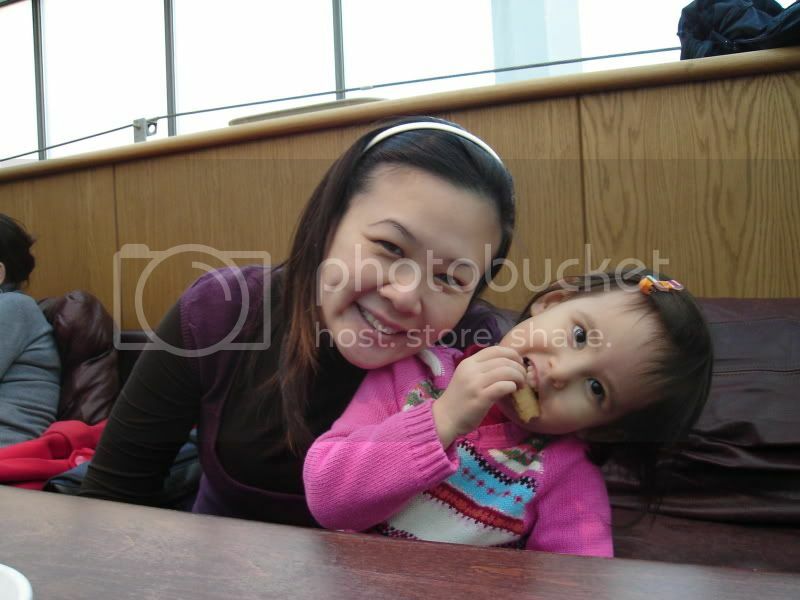 She enjoyed the food and the shopping like a true blue Singaporean. In fact, she managed to grab a pair of Clark's Molly the magical cat boots that was on sale and promptly wore them out of the store. I, on the other hand, came back empty-handed since being 7 months pregnant means that I have no idea what would fit me post partum. Sigh, what a disappointment for me. 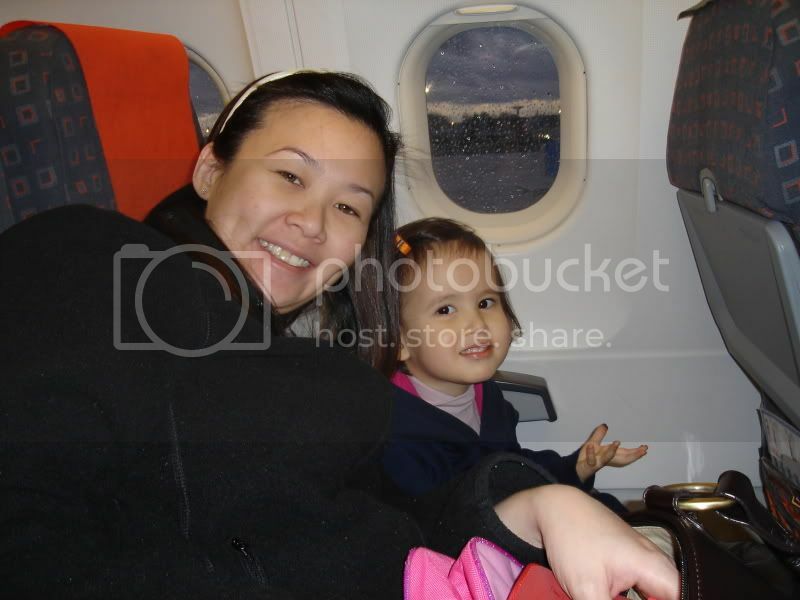 Here's the little one (with chocolatey lips) and her mummy on the plane. We took Easyjet which was reasonably priced. It was good that we did the online check-in and was able to be the first few on the plane since we had Laetitia (who was under 5 year old) with us. 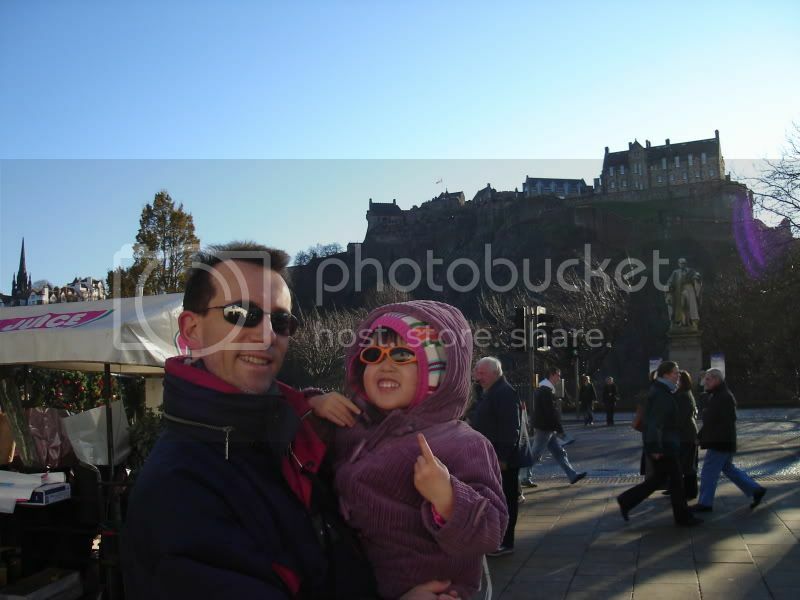 Laetitia and her papa along Princes Street. Both looking cool with their shades. 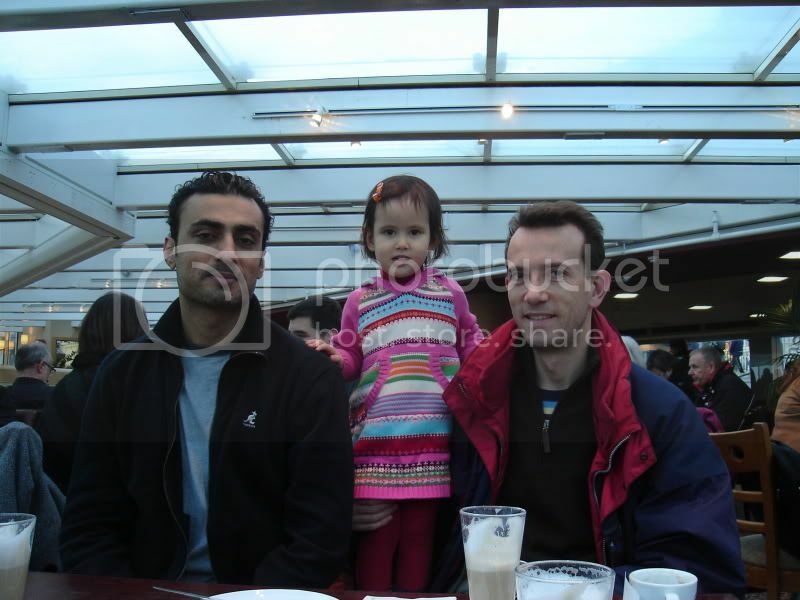 Coffee time with Papa, mummy and Uncle Ash.